Development Address: Kyletaun, Rathkeale, Co. Limerick. Development Address: Knockglass, Broadford, Co. Limerick. Development Address: 162 The Grange, Raheen, Co. Limerick. Development Address: Mounttrenchard/Ballynash (Bishop), Foynes, Co. Limerick. Development Address: Kilmacenearla, Kilfinny, Adare, Co. Limerick. Development Address: Newcastle, Castletroy, Co. Limerick. Development Address: Curraghchase, Kilcornan, Co. Limerick. Development Address: Kilmoreen, Kildimo, Co. Limerick. Development Address: Ballynort, Askeaton, Co. Limerick. Development Address: Main Street, Caherconlish, Co. Limerick. Development Address: Cloonyscrahane, Newcastle West, Co. Limerick. Development Address: 'The Gate Lodge', Orchard Avenue, Enniscoush, Rathkeale, Co. Limerick. Development Address: Walkers Road, Rivers, Castletroy, Co. Limerick. Development Address: Glenlary, Garryspillane, Kilmallock, Co. Limerick. 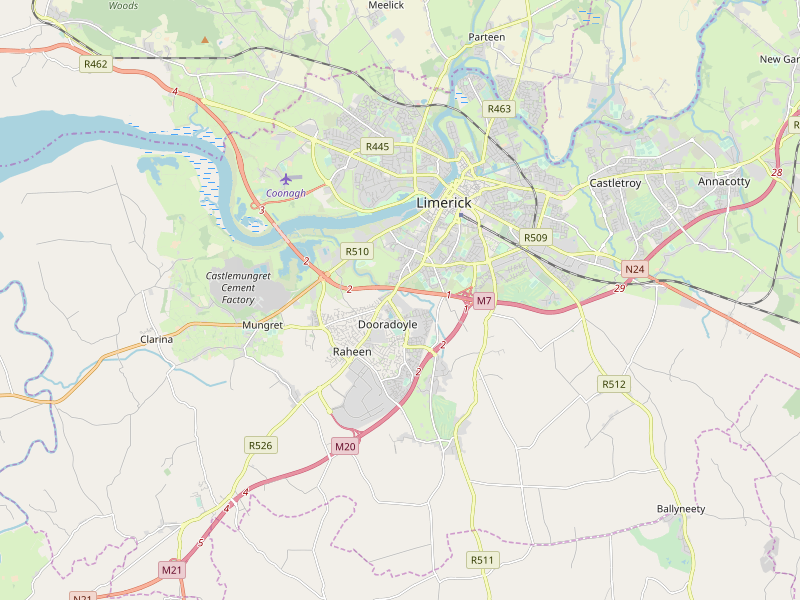 Development Address: Limetree, The Demense, Adare Manor, Adare, Co. Limerick. Development Address: Dromlara, Pallasgreen, Co. Limerick. Applicant: Plassey Trust Company Ltd.
Development Address: Troy Student Village, Groody, Newcastle, Co. Limerick. Development Address: Caherass, Croom, Co. Limerick. Development Address: Lough Gur, Bruff, Co. Limerick. Development Address: Carrigkerry West, Athea, Co. Limerick. Development Address: Mountcollins, Co. Limerick. Development Address: Dohora, Croom, Co. Limerick. Development Address: Railway View, Knocklong, Co. Limerick. Applicant: UBER Ireland Center of Excellence Ltd.
Development Address: 1st Floor, 47 Thomas Street, Limerick. Development Address: Tinnakilla, Ballyhahill, Co. Limerick. Development Address: Ballymurragh East, Monagea, Co. Limerick. Development Address: Hazelwood College, Dromcollogher, Co. Limerick. Development Address: Gardenhill, Castleconnell, Co. Limerick. Development Address: Verona Cafe, Arden House, St. Nessan's Road, Dooradoyle, Co. Limerick. Development Address: Balliniska, Feohanagh, Co. Limerick. Development Address: Lisduane, Granagh, Kilmallock, Co. Limerick. Development Address: Newcastlewest Enterprise Centre, Sheehan's Road, Newcastle West. Co. Limerick. Development Address: 1 Parnell Street, Limerick.